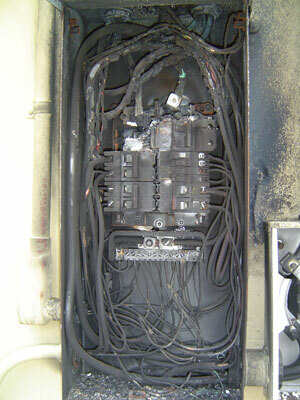 Advanced Electric Design And Service News: MAY IS ELECTRICAL SAFETY MONTH!!! It seems like this is going to really help electrical contractors in the long run. I am definitely going to have to remember May as electrical safety month. It seems like more people should be aware of this. I've always wanted to have a reading with a psychic. My friend and I have decided that we are going to set up an appointment with one. We are so curious about what she might say. I'm glad to see that more people are taking the time to make sure there electrical appliances are safe. I've always been really strict on things like that, because I've heard way to many sad stories of people that didn't take the extra time to make sure something like that was safe. I'll be sure to send this blog to a few of my friends, I feel like they would really like it. I have been wanting to get child proof outlets for a while but I don't know how, or what to look for. I think I will contact an electrical company and see what they say. 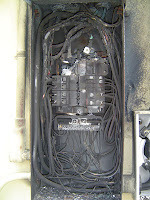 Hi, If you need electrical services, let me suggest you this industrial electrician in Brisbane. They will surely help you to maintain your electrical needs and make your house safe to prevent the cause of fire. Just visit their website here for more information. I'm really glad that people are starting to take electrical work more seriously. I feel like people were getting injured all the time, because they weren't taking the necessary precautions. Hopefully a nice article like this will be able to help people understand how to be safer around electrical machines. With our world becoming more and more reliant upon technology, it's getting harder and harder to maintain and understand. It's only going to get more advanced, but good thing there is help with this kind of stuff.I'm so grateful for electric contractors that know how this stuff works and can help the rest of us who don't know how it works. I didn't know that May was considered to be electrical safety month. There are a lot of reasons as to why it is that this month is electrical safety month. 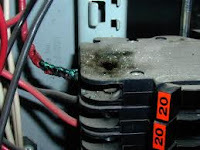 It is probably because it is spring time and the winter weather can damage all of your electrical components. That is what makes most sense to me as to why it is that the month of May is electrical safety month. Thank you for sharing this helpful blog. I was looking for effective electrical services for my small business. Thanks for sharing this. This is really nice and interesting blog.I'm glad to know. I admire the time and effort you put into your blog and detailed information you offer. We are also Local Electrician in Australia. "Electrician in Sunderland" is the best place for electrical services,. thanks for the suggestion and i believe always call in a professional for problems you cannot fix, as the safety of your family depends on it. POSHE is an Accredited Centre for providing Nebosh IGC. POSHE imparts all Nebosh courses in Chennai though we give special case for Nebosh IGC as it brings enormous job opportunities across globe . POSHE delivers Nebosh Course in Chennai with matchless pass percentage for Nebosh IGC. If someone want to know more about Electrical Services Sydney I think this is the right place for you! Thanks for sharing this information.It's very beneficial. You have shared matchless information.Thanks. Beneficial content.I truly like it. Your blog is very useful, I am truly to this blog which is specially design about the pop up electric sockets. KNP Electrics is a Perth Electrical Contractor that strives to provide the highest of quality in electrical work in both the domestic and commercial divisions. We are committed to providing reliable, efficient and prompt electrical services by offering high quality workmanship in every job we undertake. Need a Residential or Commercial electrician near you? We at Akron Electricians have a team of Licensed Electrical Contractors serving the entire Columbus, Ohio area. Your local and affordable electrician. 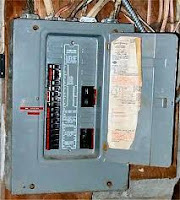 For any electric repair need Call 330-752-8419. It is great post. Thanks for sharing superb information with us.